A table lamp with contemporary design, characterized by a steel base that houses the LED source and supports a blown glass diffuser. 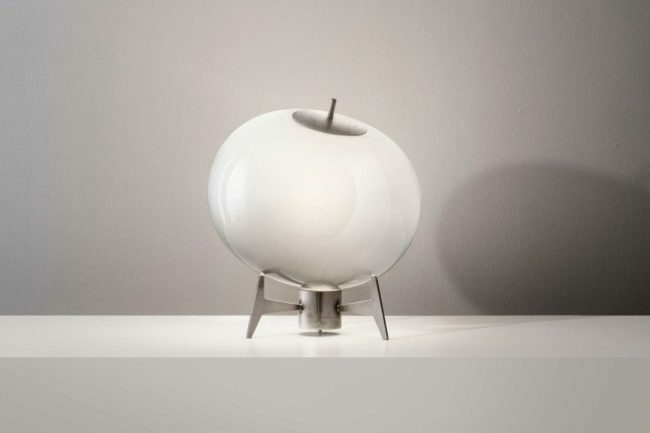 The diffuser is characterized by a particular irregular spherical “onion” shape, sanded on the upper part, which creates a pleasant and non-invasive play of light. In the upper part of the glass, a pin allows you to change the position of the sphere, to orient the light beam and its intensity.